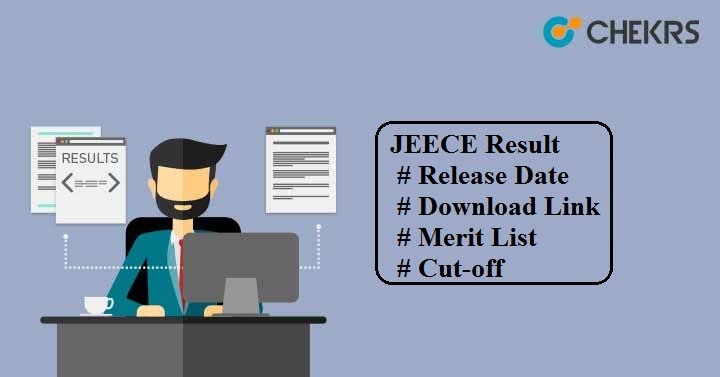 JEECE Result 2019: Candidates who have appeared in the JEECE exam can check their score, rank and qualifying status as JCECEB will make result available soon on its official website. Here we have provided the result direct link. Just go through this article completely to get detailed information about JEECE Result. The board has not announced the Result Date, but we are expecting that it will be announced in the month of June. Go to JCECEB official website. Select Examination name i.e. Jharkhand Engineering Entrance Competitive Examination -2019. Enter your roll number and click on ‘Search’ button. You will see JEECE 2019 Result on the screen. Save the result and keep it safe as it will be required at the time of counselling. Along with the result, branch or stream wise JEECE Cutoff will be released for selecting the eligible candidates. The cutoff will include the opening and closing rank. Those candidates whose rank will be within the published cutoff marks as per their respective branch they will be considered for admission in various engineering colleges of Jharkhand state. The examination authority will also release the Merit List based on the candidate’s performance in the entrance exam. It will be combined merit list according to the candidate’s category and their merit rank. In the case, if 2 or more than two candidates obtained the same marks in the JEECE result then their inter-se-merit list will be determined. Candidates whose name will present in the merit list will be called for JEECE Counselling as per their rank. It will be organize in 2 rounds. Qualified candidates need to report to the counselling venue as per the counselling schedule. To take part in the counselling round, students need to pay the fees. If you have any further queries related to JEECE Result 2019, you may contact us by leaving your message in the comment box below.